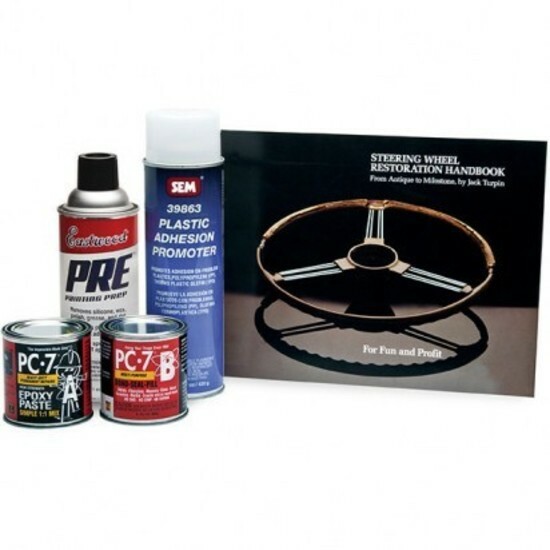 Repair Plastic and Hard Rubber Steering Wheels. 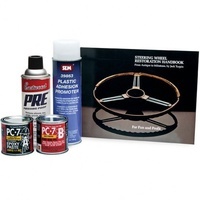 The ravages of time and UV light conspire to deplete your steering wheel of it's elastomers. 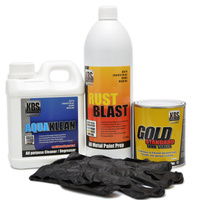 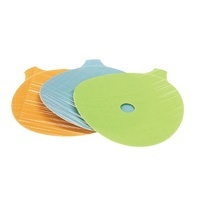 The resultant cracks can be repaired with one of our money saving kits. 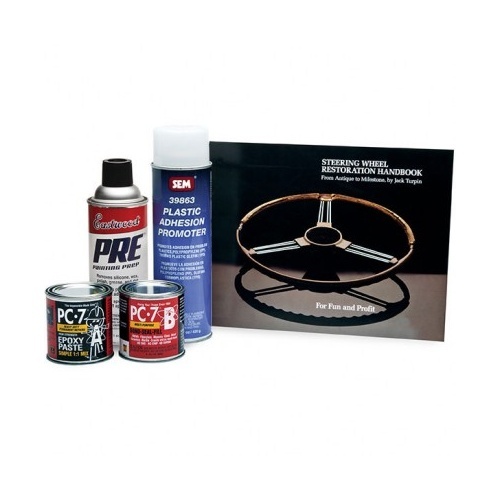 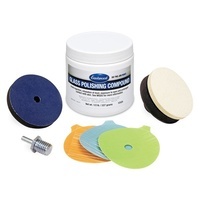 Use this Master Steering Wheel Restoration Kit with 1 lb of PC-7 Epoxy (52047), an aerosol can of PRE Painting Prep (10041Z), an aerosol can of Adhesion Promotor (52366Z) instructions and a copy of the Steering Wheel Restoration Book (52017) to repair cracked wheels and ready them for the color top coat.